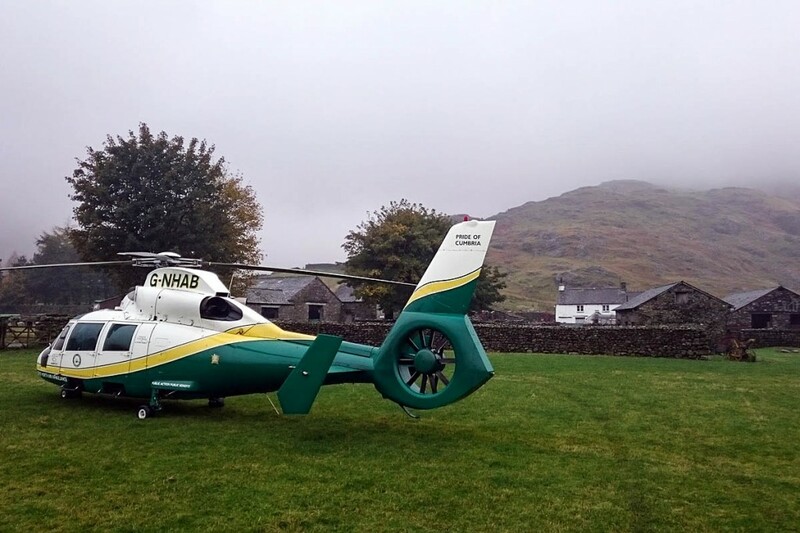 A walker was airlifted to hospital after suffering a heart attack on a Lake District mountain. The 68-year-old from Gloucestershire was on The Band on Bow Fell in Great Langdale on Saturday morning when he collapsed. Langdale Ambleside Mountain Rescue Team was called out and the Great North Air Ambulance helicopter was scrambled from its base near Penrith. An air ambulance service spokesperson said: “Due to poor weather conditions the helicopter was unable to land close to the casualty and had to position on the valley floor while the medical crew and the MRT team continued to the casualty on foot. “Following assessment it was found the patient was having a heart attack and was treated and stabilised on scene.